Manmaru Robatayaki & Bar at Atria Shopping Gallery has got something off-the-beaten-track for your Christmas & New Year dinner this year! 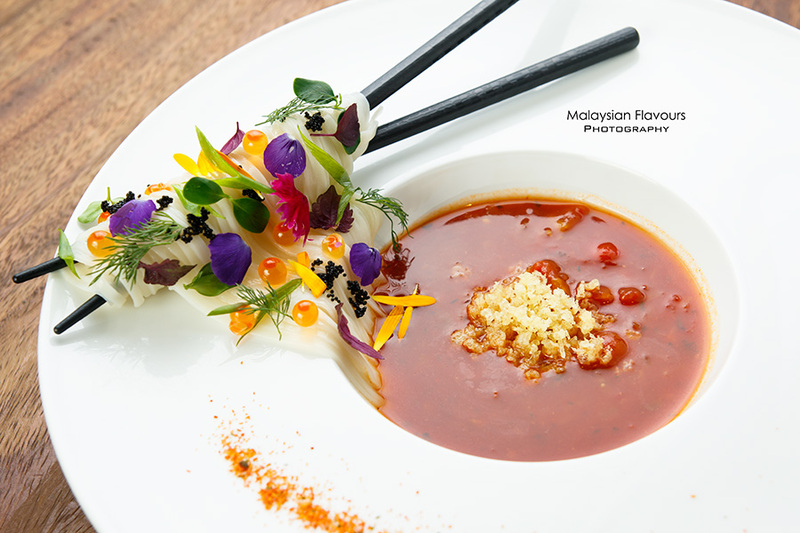 Visit Manmaru on 24th, 25th, 31st of December 2015 and 1st January 2016 to enjoy a splendid Omakase meal specially crafted by Chef Danny, priced at only RM158nett per pax, or RM180nett per pax (with a glass of wine). 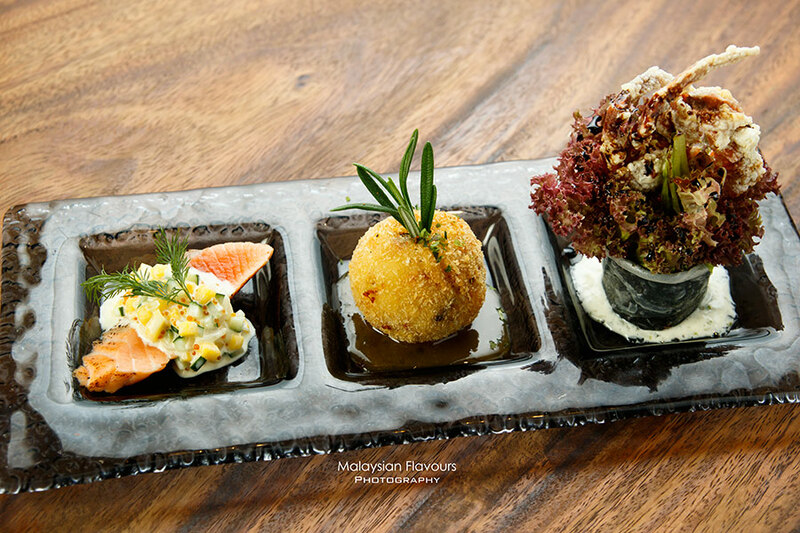 Begin with trio appetizer, a colourful combination that put together pan seared salmon with salsa sauce, deep fried eel croquette with citrus miso sauce, and soft shell crab salad roll with tartar sauce. Love the croquette most, crispy at the exterior, creamy inside, laced with refreshing citrus-y sauce to balance out the heaviness. 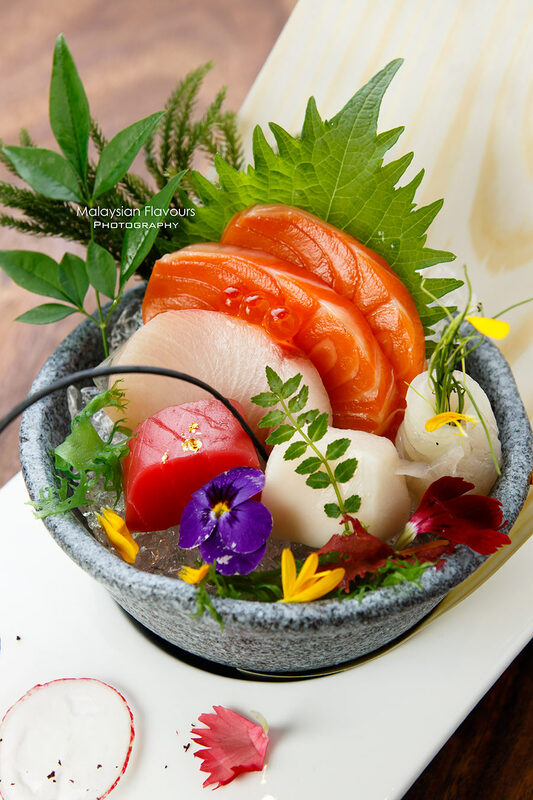 Nothing beats a good plate of sashimi, layering up chef selection sashimi of the day. Heap of cream-base sauce, gracefully flows down to resemble molten lava of volcano. 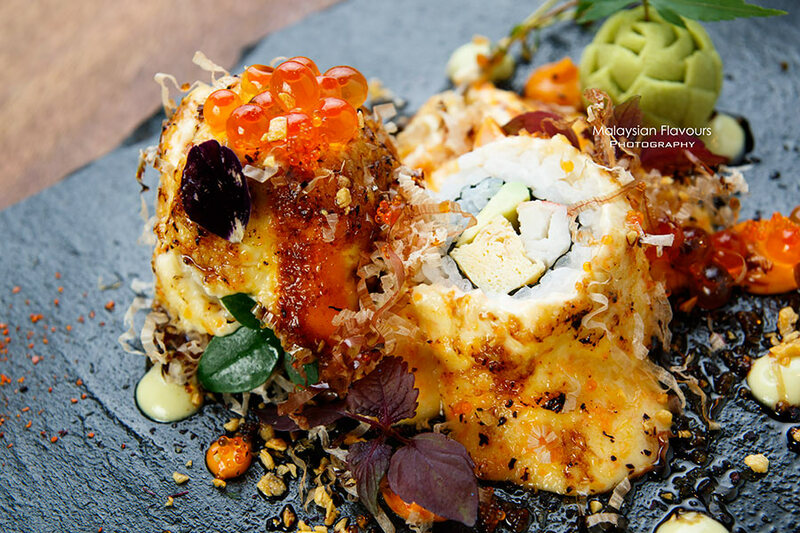 Laid within are Foie Gras Sushi Roll, flavours heighten up with extra rich, creamy gravy. Seems creaminess overwhelmed, but never too cloying even if you lick the leftover sauce on plate clean. 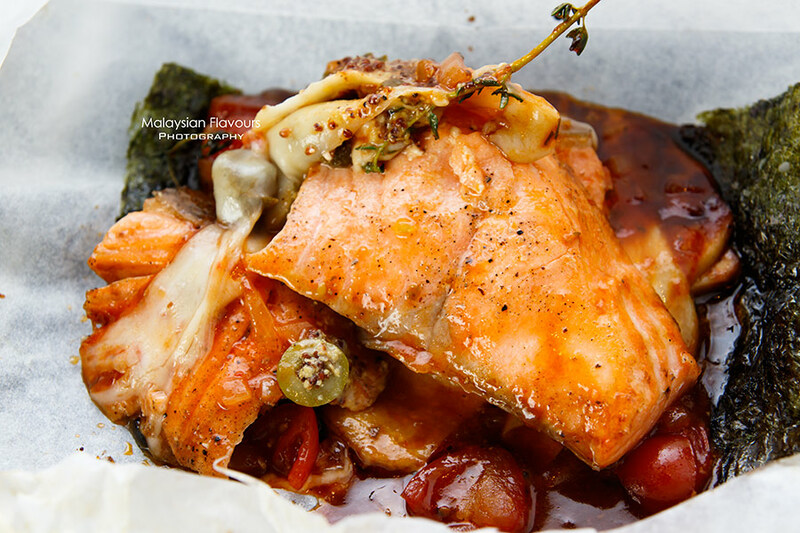 For main course, grilled salmon with mixed herbs are presented in an interesting way, enveloping everything in a wrap and kept heated over stone-like serving ware. 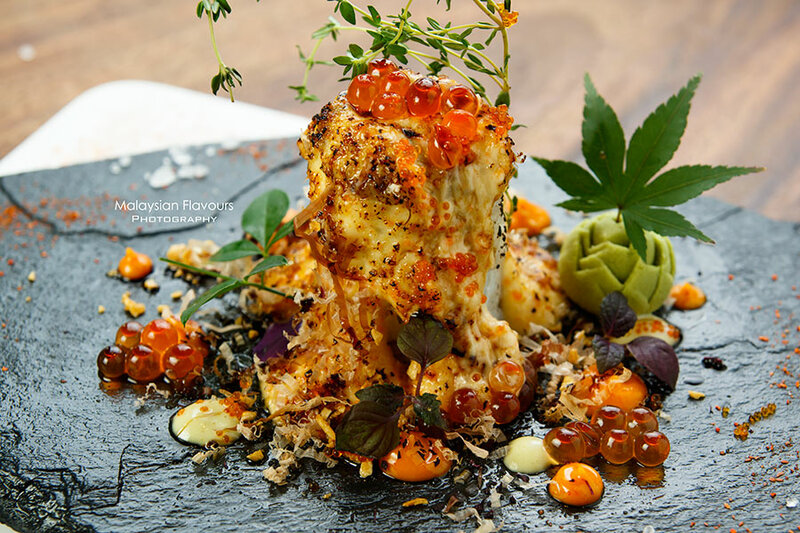 We voted this as our best dish in Manmaru Christmas Omakase Menu – delicious salmon baked with different idea and concoction. 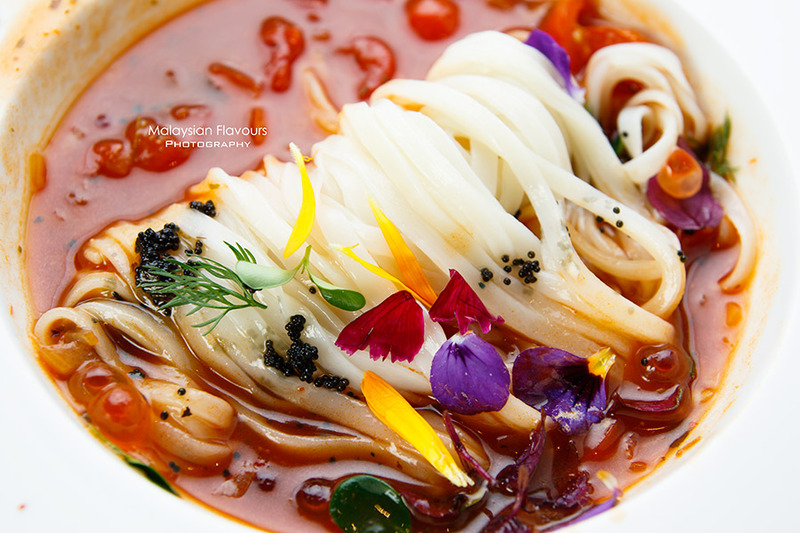 But at the same time, we personally feel that there’s too many good flavours come through in this dish. The salmon itself is good, same goes to the sauce. When both come together, natural flavours of salmon gets knocked down, shadowed by tomato-ish sauce that is so appetizing, making us calling for a bowl of rice. Maybe they can tune down the sauce to milder version, and let natural sweetness of salmon shines better. Eye-pleasing dish. 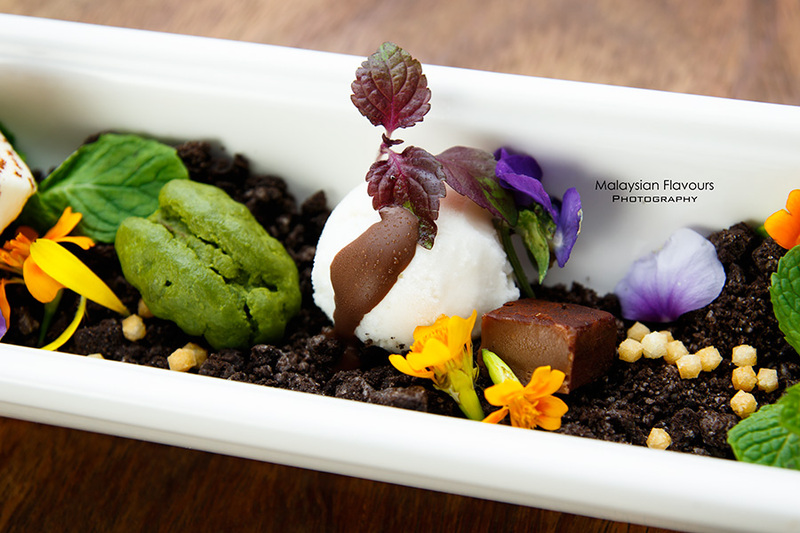 Food presentation in Manmaru Atria never disappoints, thanks to the talented head chef and kitchen team. Pretty refreshing in whole as it is cold udon, putting a match to the thick, tangy gravy. 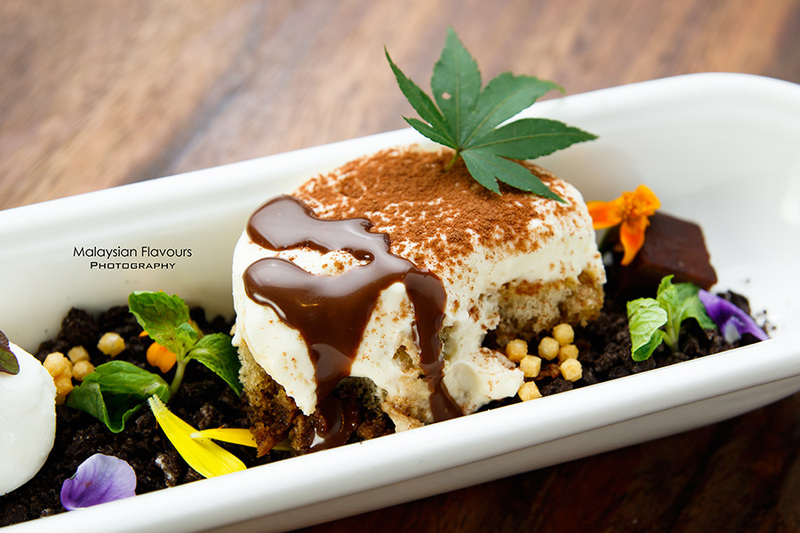 Happy to see Tiramisu on the menu, as we really love tiramisu from Manmaru Robatayaki & Bar. Melt in the mouth, a trail of smooth, light sensation within creaminess of cheese. Extra bites from coconut flakes, and ice cream. Enjoy your Omakase meal with a glass of Done Vinico Chardonnay Macabao white wine, or Don Vinico Tempranillo red wine. **Minimum 2 pax. RSVP and pay before 15th December to enjoy 15% off for dinner and 20% off for lunch for this Christmas Omakase Set. The set is valid only on 24th, 25th, 31st December 2015 and 1st January 2016.